Some of the biggest oil and gas companies are embroiled in legal disputes with cities, states and children over the industry’s role in global warming. A wave of legal challenges that is washing over the oil and gas industry, demanding accountability for climate change, started as a ripple after revelations that ExxonMobil had long recognized the threat fossil fuels pose to the world. Over the past few years: Two states have launched fraud investigations into Exxon over climate change. Nine cities and counties, from New York to San Francisco, have sued major fossil fuel companies, seeking compensation for climate change damages. And determined children have filed lawsuits against the federal government and various state governments, claiming the governments have an obligation to safeguard the environment. The litigation, reinforced by science, has the potential to reshape the way the world thinks about energy production and the consequences of global warming. It advocates a shift from fossil fuels to sustainable energy and draws attention to the vulnerability of coastal communities and infrastructure to extreme weather and sea level rise. From a trove of internal Exxon documents, a narrative emerged in 2015 that put a spotlight on the conduct of the fossil fuel industry. An investigative series of stories by InsideClimate News, and later the Los Angeles Times, disclosed that the oil company understood the science of global warming, predicted its catastrophic consequences, and then spent millions to promote misinformation. That evidence ignited a legal clamor that included calls for a federal criminal investigation of Exxon. 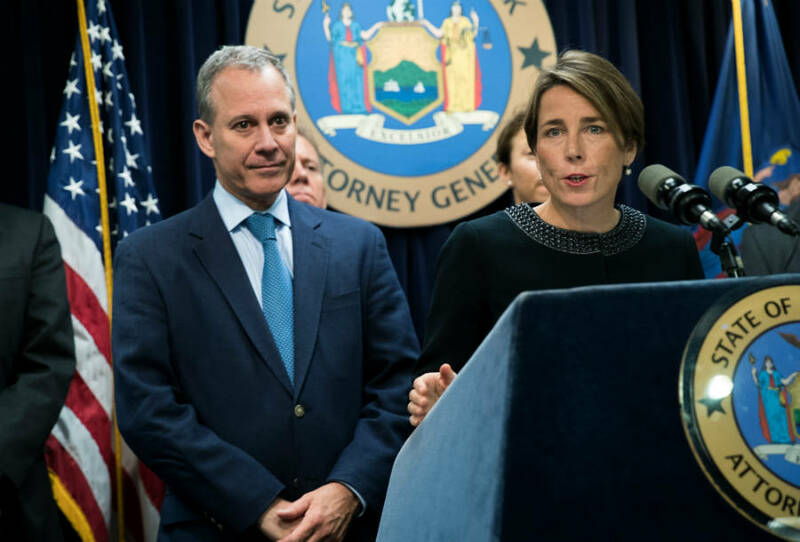 The challenges gained momentum when attorneys general in New York and Massachusetts subpoenaed the oil giant for internal climate change-related documents. Then some of the country’s largest cities entered the fray, seeking billions of dollars to fortify against climate change. The storm of litigation could have a broad impact if it succeeds in holding fossil fuel companies accountable for the kinds of damages they foresaw decades ago, said Harold Koh, a professor of international law at Yale Law School who served as senior legal adviser to former Secretary of State Hillary Clinton. Following is a summary of the major legal battles pitting Exxon and the oil and gas industry against American states and cities, and environmentally inspired young people against the government. This timeline will be updated as events unfold. The attorneys general of New York, Massachusetts and the U.S. Virgin Islands launched investigations of Exxon in 2015 and 2016. Prosecutors want to see if the company lied to the public about the risks of climate change or to investors about how such risks might hurt the oil business. The investigations drew a quick, fierce response from Exxon. The company went on the legal offensive to try to shut down the probes, employing an army of aggressive, high-priced lawyers and a strategy of massive resistance. The attorney general of the Virgin Islands capitulated and ended his investigation just three months after issuing subpoenas. Since then, Exxon has been waging a relentless fight though state and federal courts to impede investigations by New York Attorney General Eric Schneiderman and Massachusetts Attorney General Maura Healey. It sued Schneiderman and Healey in federal court to block the investigations, but the judge rejected Exxon’s claims that the investigations are politically motivated. Legal battles also spilled into the courts of both states; all the way up to the supreme courts of New York and Massachusetts. Nov. 4, 2015: New York Attorney General Eric Schneiderman issues first Exxon subpoena. Feb. 29, 2016: Schneiderman announces formation of AGs United for Clean Power coalition. April 4, 2016: Virgin Islands Attorney General Claude Walker issues subpoena to Exxon and the Competitive Enterprise Institute in a climate change investigation. April 13, 2016: Exxon sues to block enforcement of Virgin Islands subpoena. April 19, 2016: Massachusetts Attorney General Maura Healey serves Exxon with civil investigative demand (similar to a subpoena). June 15, 2016: Exxon goes to federal court in Texas to block Healey’s civil investigative demand. June 16, 2016: Exxon goes to state court in Massachusetts to block Healey’s civil investigative demand. June 29, 2016: Virgin Islands withdraws Exxon subpoena and Exxon agrees to dismiss its related lawsuit. Oct. 13, 2016: Texas federal judge orders Massachusetts’ attorney general to submit to deposition by Exxon. Oct. 17, 2016: Exxon seeks injunction in Texas federal court to block New York attorney general’s investigation. Nov. 7, 2016: Exxon challenges ruling that an accountant-client privilege in Texas law does not apply in New York and that its auditor, PricewaterhouseCooper, must turn over documents. Nov. 17, 2016: Texas judge orders Massachusetts Attorney General Healey to appear in Texas for deposition. Dec. 12, 2016: Judge issues order cancelling deposition of Healey. Jan. 11, 2017: Massachusetts state court rules Exxon must comply with attorney general’s civil investigative demand seeking climate change information. March 29, 2017: Texas federal judge transfers Exxon’s lawsuit to New York federal court. June 2, 2017: New York’s attorney general calls Exxon’s climate accounting a “sham” under Tillerson. Sept. 12, 2017: New York highest court denies Exxon’s request to keep PricewaterhouseCoopers accounting records secret. Jan. 12, 2018: Exxon seeks to amend its federal case against Healey and Schneiderman. March 29, 2018: Federal judge rejects Exxon’s attempt to derail Healey’s and Schneiderman’s investigations. Faced with the possibility of devastating consequences brought by rising sea levels, six cities and three counties in California, along with New York City, filed civil lawsuits against several oil and gas companies. The lawsuits make a public nuisance claim and, in some cases, allege negligence. Essentially the lawsuits say the oil and gas companies have known for decades that burning fossil fuels is one of the biggest contributors to global warming. Instead of acting to reduce harm, the cities charge, companies attempted to undermine climate science and mislead the public by downplaying the risk posed by fossil fuels. The lawsuits seek billions of dollars to pay for mitigation measures such as sea walls to protect coastal property. The oil and gas companies responded by seeking to move the cases to federal courts, where nuisance claims are less likely to succeed. That jurisdictional battle rages on, with the cases divided between state and federal courts. 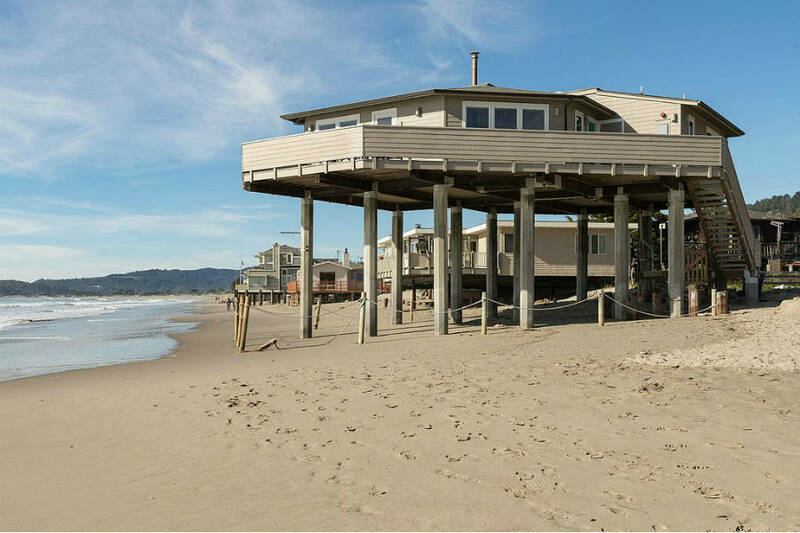 July 17, 2017: San Mateo County, Marin County and Imperial Beach file separate lawsuits in California Superior Court seeking damages from 37 fossil fuel companies over sea level rise. Sept. 19, 2017: San Francisco and Oakland file lawsuits in California Superior Court seeking damages from five fossil fuel companies over sea level rise. Jan. 8, 2018: Exxon asks a Texas court to grant a discovery order allowing the company to question officials in counties and cities suing. Jan. 9, 2018: New York City files suit in federal court against five fossil fuel companies over climate change-related costs. The next generation will likely have to manage the physical, ecological and economic fallout of climate change. And some of those young people are at the forefront of lawsuits that claim the federal government, and several state governments, are responsible for preventing and addressing the consequences of climate change. The litigation, ignited by Our Children’s Trust in 2015, relies on the public trust doctrine—a legal canon that stresses the government’s hold on resources such as land, water or fisheries as treasure for the people. The children’s lawsuits extend that principle by asserting the government also is a trustee of the atmosphere. Eight similar children’s lawsuits supported by Our Children’s Trust have been filed in state courts from Alaska to Pennsylvania. The federal case demands sweeping changes in federal climate efforts and in government programs that subsidize or foster development of fossil fuels. Both the Obama and Trump administrations, and the fossil fuel industry, repeatedly sought to have the case dismissed. But the children’s case persists and could put the government’s climate policies on trial in federal court. 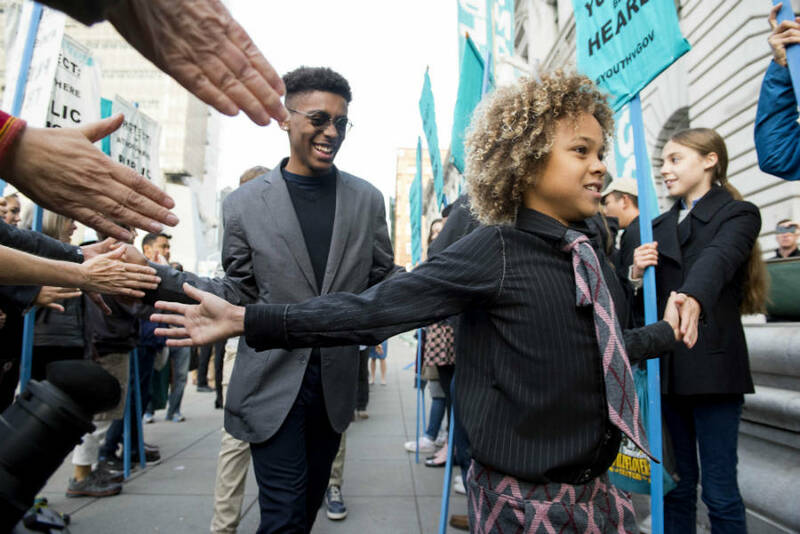 Aug. 12, 2015: Our Children’s Trust youth plaintiffs file lawsuit asserting the federal government is failing to protect them from climate change. Nov. 12, 2015: American Petroleum Institute (API) and other pro-fossil fuel groups seek to intervene in Children’s Trust case. Nov. 17, 2015: Federal government requests dismissal of the case. Jan. 14, 2016: Federal judge gives standing to API and other pro-fossil fuel groups to intervene in the case. Nov. 10, 2016: Federal court in Oregon denies a government request to dismiss the lawsuit. June 28, 2017: API and two other pro-fossil fuel groups are allowed to withdraw as interveners. Nov. 16, 2017: Federal appeals court agrees to hear arguments on whether the case against the government can go to trial. March 7, 2018: Federal appeals court rejects government’s pleas to haltChildren’s Trust case. Apparently these are all CIVIL lawsuits, which under the best circumstances will lead to fines and perhaps somewhat modified behavior. But the real breakthrough will only come when there are CRIMINAL charges against those responsible, such as a “crimes against humanity” charge. That will be a game-changer!